Brenda Chapman Parts Ways with Pixar! Despite being pulled from the head directorial spot during the production of Brave in 2010, Prince of Egypt director Brenda Chapman remained at work at Pixar through 2012. As of late last month, however, the mind behind Brave has joined a growing list of Pixar employees, including Doug Sweetland, Lou Romano, and Brad Lewis, who have left the studio. Pixar Portal claims that Chapman is now working as a consultant for Lucasfilm’s animation department. A creative talent who worked in the story department on classics like Beauty and the Beast and The Lion King, we wish her luck at Lucasfilm and can’t wait to see what she works on next. Still, the growing amount of talent leaving the studio could be a cause for concern. Disney cited "creative differences" as the reason for Mark Andrews taking the helm of Brave, which, combined with Andrews’ action-oriented directorial style, leads me to believe that executives wanted to broaden the appeal of the film to male audiences. A since-removed piece of art on Lou Romano’s blog depicted Pixar characters in chains beneath a Mickey Mouse caricature. Something could definitely be going on behind the scenes at Pixar following the 2006 acquisition by Disney, but we know little for sure. New talent continues to be cultivated at Pixar, however. Dan Scanlon, Ronnie Del Carmen, and Peter Sohn, who are working as directors on upcoming Pixar productions, are all first-time feature directors at the studio. Brave and La Luna both prove that Pixar continues to release creative and exciting films, and all of their upcoming projects sound inventive and promising. Regardless of any controversy at Pixar, Brenda Chapman and her creative contributions to Brave should be celebrated. Clearly one of the most talented women in the animation industry, we hope the best for her at Lucasfilm and anywhere else she goes in the future. Is Brenda Chapman out of the director’s chair for Brave? The popular animation blog, Cartoon Brew, points to an unnamed "reliable source" for today’s big reveal. In fact, the site reports that she has left the studio for good. Brenda Chapman would have been Pixar’s first female director, but I would assume the change had nothing to do with her gender. Regardless, I’m willing to bet that a controversy is in our midst. Brew also reports that One Man Band director and story vet, Mark Andrews, is actively replacing Chapman in the role of helmer. No further details were mentioned as to why a change was implemented. As you may know, directorial swaps aren’t anything new at Pixar. I’d point to Toy Story 2, but the best example is Jan Pinkava’s flailing Ratatouille which was subsequently turned into an Oscar-winning masterpiece by Brad Bird. Hopefully, everything was done for the best— you can trust Pixar on that end. We wish Brenda Chapman the best of luck in her future endeavors, assuming the news isn’t simply hogwash. Billy Connolly, the Scottish-born actor set to provide his voice in Pixar’s Brave, was recently asked about the upcoming project in an interview with The Star. 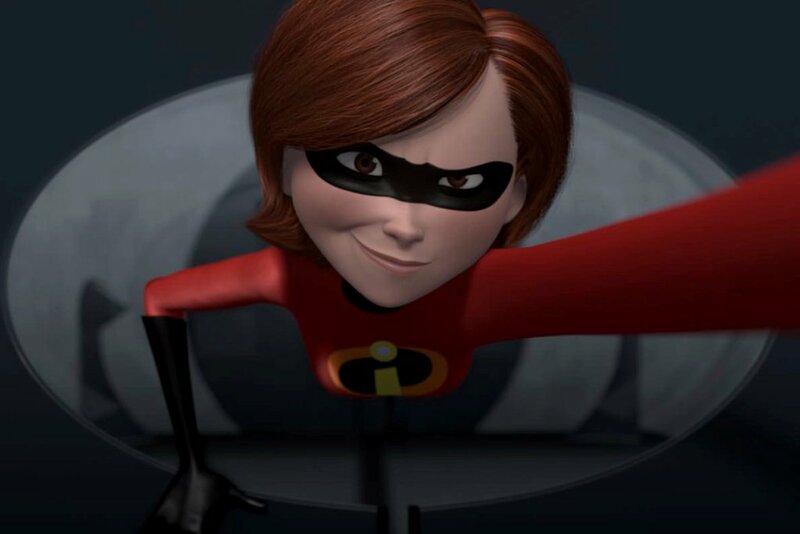 On Pixar’s first female director: "It didn’t dawn on me for ages, because… I just found (animation) directors absurd and immensely likable… So it didn’t become a matter of male or female to me." He can say that again! Connolly’s comments come just days after a (usually) reputable source "reported" that Brenda Chapman would become Pixar’s first female director. Subsequently, it became "breaking news" across the web. The funny thing: Disney/Pixar announced her title over two years prior! Brave is set to hit theatres on June 15th, 2012!